The implementation of the Walled Garden design plan is moving ahead well. The central paving feature is almost complete but before we lay down the rest of the paths we need to lay in ducting for a new electricity and water supply. For this we need to clear a path around the inner perimeter of the Walled Garden. Can you help? On Saturday 18th and Sunday 19th August we are planning a weekend working party to clear a way for us to get a digger on site to put trenches in for the new electric and water supplies. The clearance work will involve removing the spoil “mountain” by the south gate (see photo below) so there will be quite a lot of digging, lifting and barrowing required. We are hoping to find some strong, fit people to help us out. Many hands make light work! We would also welcome volunteers to take on some lighter tasks such as keeping a regular flow of refreshments available for the grafters and hoeing out the spoil. The working parties will run from 10.00 – 13.00 hrs and 13.00 – 16.00 hrs Sat and Sun. Please contact us on info.lgh.garden@gmail.com if you would like to come along. You will need to bring suitable footwear with covered toes (no sandals), sunscreen and a hat if the weather is sunny. Free refreshments will be provided. 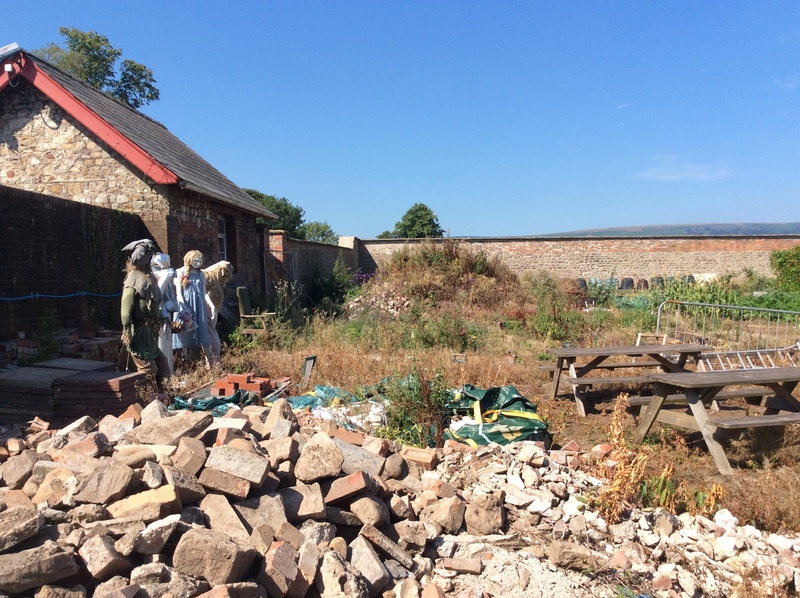 Previous PostThe Walled Garden – Newsletter Summer 2018Next PostWeekend Working Parties – a Big Thank You!